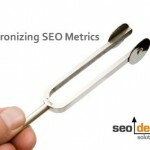 Often the effectiveness of search engine optimization is predicated by keywords and SEO rankings. Since this is a primary metric for performance, I would like to share a previously guarded SEO tactic that allows you to control which pages rank for which keywords and if those rankings are either exact match or stemmed broad match keyword variations. This SEO tip revolves around how to create Top 5 or Top 3 organic search engine positioning for a web page by understanding the inherent ecological link / support system underlying the on page and off page ranking criteria. 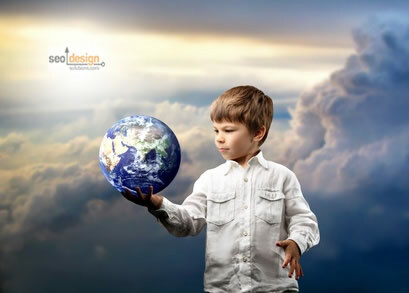 Depending on your ranking objectives, the intent, size and purpose of the website (commerce, lead generation, education, passive affiliate revenue, etc. 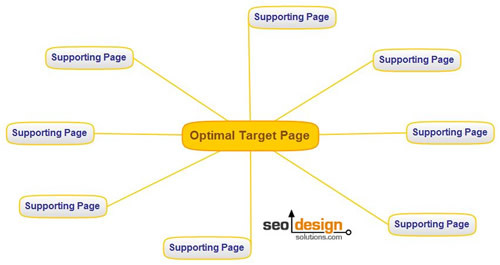 ), you should select the most appropriate SEO method between the two mentioned below. Are you aware that you can make a website or web page rank differently for specific “exact match keywords” or an array of related or nebulous “broad match” keywords based on applying different optimization techniques? The following tutorial covers tactics which we have found extremely useful over the years for producing laser-like rankings in record time based on a few simple on page and off page preferences. Using Exact Match or Keyword Stemming? If you want a page to rank for more than one keyword, then the title tag should contain all of the keywords intended as the destination for those keywords. For example a page that I want to rank for SEO Tips, I should have that shingle (group of words) first in the title, then use overlapping keywords or phrases to cement relevance for them collectively. Meta Description: Searching for SEO Tips? 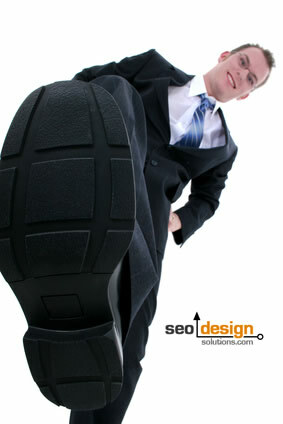 (company X) offers Search Engine Optimization Tips, SEO Tutorials and SEO tactics to Improve Search Engine Positioning. Now, the stage is set, and based on the relevance between the keywords themselves which are all semantically close as nodes (Tutorial, Tutorials, Technique, Techniques, Optimization, Search Engine Optimization, SEO and even Search Engine Positioning were incorporated). 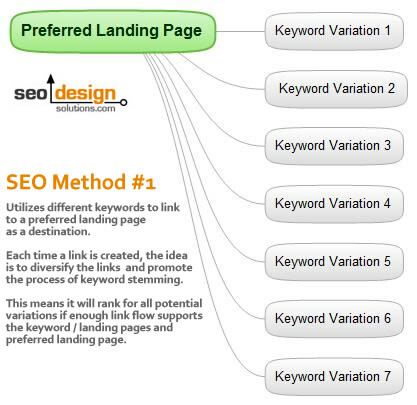 This page from the initial on page SEO factor is groomed as a destination page. 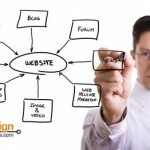 Hence, you could use dozens of other pages linking to it from related pages in your website with the keywords SEO Tips, SEO Tutorials, Search Engine Positioning Tips, Search Engine Tactics, Tips for SEO, Tips for Search Engine Positioning, etc; until you cover all of the semantic branches that pertain to the context of the pages content. This produces keyword stemming by default (ranking for some or all variations of all of the keywords). 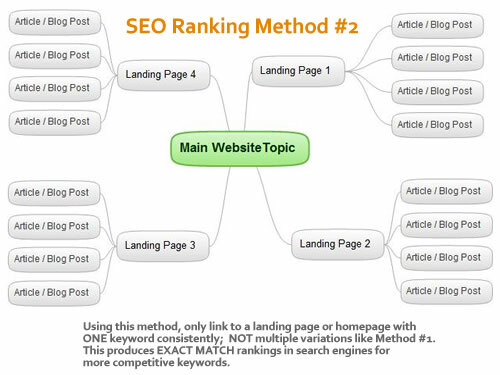 Or, on the contrary, if you wanted that page to rank for just one keyword or one keyword and its respective plural variation (refer to SEO Method#2 Below). By tactfully limiting the amount of varied anchor text (both internally and externally) from other websites to that page you can dial-in more specific/competitive keywords. To reiterate, based on internal linking method and off page augmentation, you can structure how a website ranks and for which keywords. For example, if you want a homepage to rank for dozens or hundreds of keywords, then build links back to that page with different anchor text from your other pages. On the contrary, if you want your homepage or a page to rank for a very specific keyword, then only build links to that page with that keyword, a plural or a very close semantic cousin. When I say build links, I am implying both internal (within the site) and external (from other sites). Also note, that content nested deep in a site still adds relevance to the global term weights search engines use to parse the collective volume of occurrences any given keyword has. These metrics take into account a key phrases contextual occurrences within a document, anchor text, usage, keyword saturation, frequency or proximity in the title, bold, italics, as well as other relevance weights. The only thing to determine is, which method is conducive to the type of conversion optimization being employed?, what are the respective offers?, and what margin or ROI could they potentially yield (immediately as well as in the long-run). Which Method is Best for Conversion? Earning power determines the budget; the budget determines how extensive, frequent or aggressive the tactics are. For example, trying to compete with a website that has 10k pages indexed in Google, has been online for 11 years and has devoured every money phrase worth targeting in a given market with a $500 budget and 30 page website is simply not realistic. The first method (building links to a target page with anchor text diversity) is easier to accomplish, since search engines will start ranking your website for all things related and any possible combination of keywords it finds in context on any given page in the tiered pages. Tiered meaning below the homepage, yet, since the homepage is receiving a vast array of links from each page with its own respective anchor text linking to it, it is as if those pages are placating the homepage and passing on their ranking factor back to the top tier of the site. This can be beneficial due to search engines knowing exactly where to look for the best match. For example, if a consumer uses an exact match keyword, they would be more than likely toggle a respective hit to the home page. However, if a consumers search engine query were broad (such as a long-tail search), then the supporting pages would appear to appease the query as a result of the multiple keywords overlapping in context. Understanding this simple, yet advanced SEO principle allows your organic pages to rank like pay per click landing pages, which is the real purpose of SEO (optimization through structured intent). Have you ever wondered an easy way to increase keyword conversions by 200%? Just use the wildcard (. *) method implied above (mixing up anchors to a target page using the anchor text in the title as links). Over time, this produces the coveted double ranking (a search engine results page ranking with another from the same site indented under it). Not only does this garner a 200% potential return on investment (2 positions mean the prospect is more likely to select your website), as well as you are taking one more spot a competitor would have occupied. Also, if you are targeting long-tail phrases (which comprise 80% of most traffic) then you could quickly devour hundreds if not thousands of rankings from using the keyword stemming method to drive more traffic collectively to all of your pages. The next layer would be (a) to determine which of those long-tail phrases are worth pursuing, or if targeting the root phrase is ideal. If you do target the more competitive root keywords, you will either need (1) more specific landing pages and supporting pages or (2) a higher volume of links to the pages you have in order to build more momentum and ranking authority. If you use the second method (linking only with the EXACT MATCH keyword) and getting enough deep links (links from other themed pages) from other websites (preferably on the same topic as the keyword), you can secure a more dominant search engine position. Just as hinted to above, you have to marry the keywords to the optimization method as well as the degree of on page power you will be able to generate (within the context of your content) and the amount of links you will be able to build. This method is priceless as it is interwoven into the very fabric of the link graph itself. So, rather than trying to trick search engines, just give them what they want (order, structure, consistency or multiple references) which will allow their algorithmic programs to select the common denominator based on the keyword vacuum created by the query. This is also the way to compete, compete with metrics by creating optimal overlapping layers of metrics that search engines reward. There are 200 metrics or more that search engines use to determine relevance. The more relevant nodes you unlock, the closer you are to the top position; meaning, websites which lack the proper aligned metrics will be subordinate and eliminated algorithmically as contenders as a result of your collective momentum and high relevance score. Despite the simplicity of concentrating your keyword anchor text to rank for competitive keywords or using multiple anchor text variations to promote keyword stemming, this truly is a priceless SEO tactic. Regardless of which method you choose, your pages will gain more strength and context for the topic, which will only reciprocate an aggregate amount of ranking power for your to funnel, sculpt or direct within your new or aged pages as you see fit. We hope you enjoyed this SEO tip and if you haven’t already, either pass this along for others to enjoy, or subscribe to the SEO Design Solutions RSS feed to stay in the loop. Do Categories Matter for SEO? wow i am using the first image but i heard on some webmasters that those two image is a great and the best way to increase ranking. 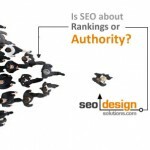 I will the seo ranking method 2.. looks effective. This is really a great post,thanks a lot for sharing this post with us.Really a great post. 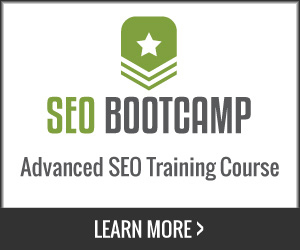 This is indeed a very useful post as i work as an SEO Executive.Great information..thanks a lot. I did not really understand the ‘wildcard’ method which is a shame. 200% sounds great! Both are effective, just a matter of do you want to rank for multiple keywords with less control over “the head/root keyword”, or just a main series of 3-5 keywords for a given page. Controlling internal and external linking gives you the discretion to do both simultaneously, if you wish. Glad you enjoyed it, I was reluctant to share this tip, but its just another tool in the box. Sort of like when and how you use it matters more than why. The ‘wildcard method’ implies using a broad array of anchor text to one location. Do it enough with any page and you can create this effect. 100 pages to dedicate to a topic for example, 40 instances may be root phrase / ideal keyword, the other 60 could contain plural and synonymous keyword modifiers to capture less competitive keywords that contain the root keyword (affordable, leading, best, pricing for “keyword”, etc.). That way, no keyword is left behind. Once you cross the tipping point for internal link, then you focus on deep linking to provide more link flow. Great post, you like my guru Smith,.. 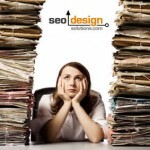 I strongly sure that my site built such SEO Ranking Method#2. Really informative post and it has me re-thinking my strategy for a website that wasnt doing as well as I expected in the rankings. 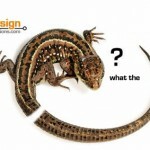 It just goes to show that there is always something new and exciting to learn about SEO – never be complacent! I am absolutely blown away by this. When I think it through, it all makes perfect common sense but I would not have thought of it myself. As we revamp our main site, I will now bear this in mind. Thank you! This kind of cements everything I actually already knew but didnt see “as a whole” – it makes sense of it for me, I’m really excited to carry on now! I swear to you, it works, regardless of market, niche or size of the industry. Keep chipping away and determine if you want (stemmed keywords and visitors from a variety) or laser-targeted PPC like landing pages from organic search.